SACRAMENTO, CALIFORNIA, USA, August 3, 2017 /EINPresswire.com/ -- Faith leaders from the black and Hispanic community will challenge the NAACP and liberal politician’s claims to represent their community at an upcoming press conference. National Congress of Racial Equality (National CORE) will be holding a Press Conference on Tuesday, August 8, 2017, between 10:00 a.m. to 1:00 p.m. at the West Mall at the State Capitol Building in Sacramento, CA. Featured speakers at the event will be Apostle Henry B. Alexander of Faith Fellowship of Churches International, National CORE leadership: Bishop Ron Allen, Harry Ramos, Douglas Gibbs, Dennis Jackson and Republican gubernatorial candidate, John Cox. See more about speakers and list of invited dignitaries. A top National CORE concern is the pro-marijuana agenda of Gavin Newsom, democratic candidate for Governor of California, and U.S. Senator Corey Booker’s bill to legalize marijuana in all 50 states. “Minority communities are disproportionately affected by drug addiction and drug gang violence. 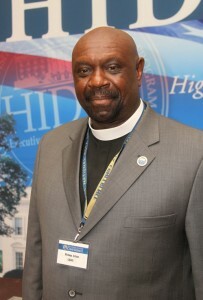 Our youth need education, opportunity and jobs, not recreational drugs,” says National CORE Chairman, Bishop Ron Allen. The group also supports legislation currently before Congress which would defund Planned Parenthood. National CORE proposes weening single parents from welfare and an end to policies that discourage fathers from staying in the home and raising their own children. In California, the group plans to investigate substandard schools and demand that the public schools raise their standards. If they do not, National CORE will support school choice and school vouchers. See entire National CORE platform. Congress of Racial Equality, established in 1942 in Chicago, Illinois played a pivotal role in the history of Civil Rights in America. CORE members were the first to start sit-in protests in 1942 in establishments where Blacks were refused service, and in 1960 CORE continued defending fair treatment by sitting at a lunch counter waiting to be served at an establishment that refused to serve Blacks in Greensboro, North Carolina. The protest lasted 5 days and grew to hundreds until the store was forced to close. The 1960’s also saw “Freedom Rides” and various legislative victories. CORE’s record of standing up to defend the civil rights of all Americans is extensive and long-serving. After the Civil Rights movement ended in 1969, CORE began a downward trend of seeing its chapter affiliates largely close their operations throughout the country until only a few chapter affiliates remained open. Today, while CORE remains intact, the once nationally impactful organization operates at a much leaner scale with sporadic and light activity. Today, a revitalization of CORE is underway in Sacramento, CA making way for National Congress of Racial Equality to continue the arduous task and complete the Civil Rights movement that Rev. Dr. Martin Luther King fought until his untimely death. Through positive programs and strategies, National Congress of Racial Equality seeks to preserve traditional family values and every American’s rights to life (born and preborn), liberty (including religious liberties) and the pursuit of happiness.